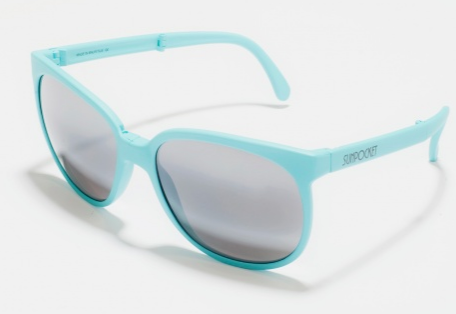 Sunpocket Sport Turquoise is an original unisex model coming straight from the heights of the French Alps. It was made for an active life style and the frame tucks neatly behind the ear and sits tight. The lightweight foldable shade is made at Mauritius, the Indian Ocean. This model is equipped with our granite coloured “all weather” lens with a darker upper and lower part to protect from sunrays and from the suns reflection. The polycarbonate lens is unbreakable and gives 100% UV-protection. Check out a video showcasing the different colorways (and the features of the glasses) via Vimeo, and if interested, purchase here.